Create vibrant marks on windows, mirrors and dark surfaces with Expo Neon Low Odor Dry Erase Markers. 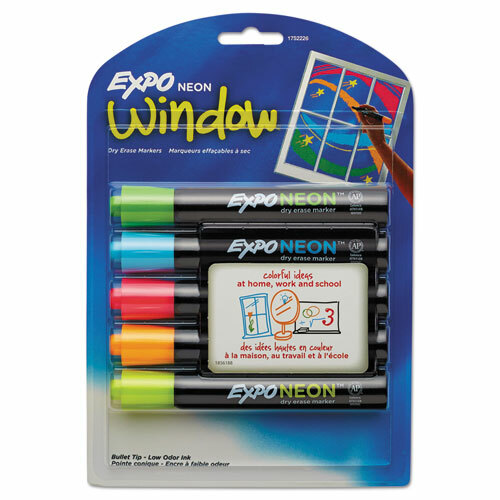 The neon window markers feature a specially designed, low-odor ink that can be used on both black and white dry erase surfaces as well as windows. The ink goes on bright yet also erases easily. Use your colorful Expo dry erase markers to leave notes and give exciting lessons.